It started with a comment. 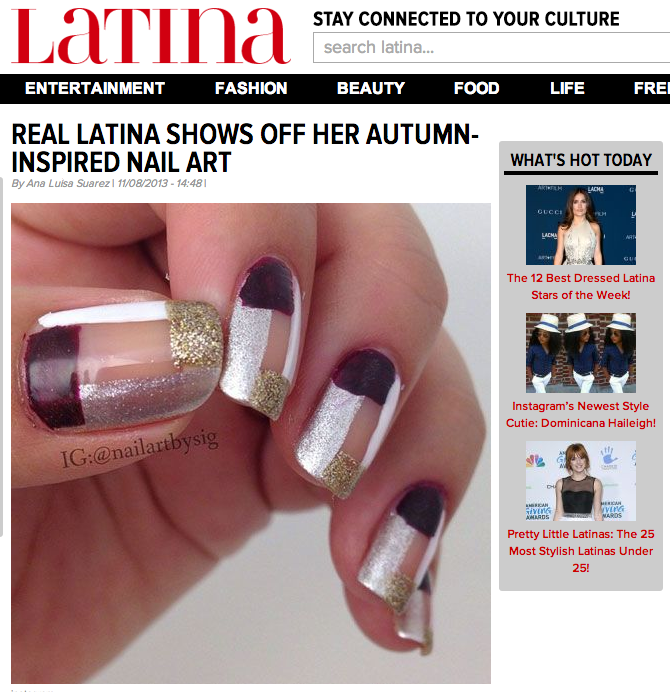 Latina Magazine informed me via Instagram on Friday that I had been selected as this week’s Latina Style Wars winner. The contest? Show off fall-inspired manicures. They really digged my negative space digits. It got better from there. Moments after doing a crazy happy dance around my apartment, I realized the real prize was getting featured by the publication. If you too are digging this design, scroll down a little further and find out just how easy it is to execute this edgy negative space manicure.